At any moment, Judge David Ezra will hand down a ruling that decides whether a Texas law requiring tissue from abortion or miscarriage be buried or cremated is upheld or overturned. The trial ended Friday, July 20. 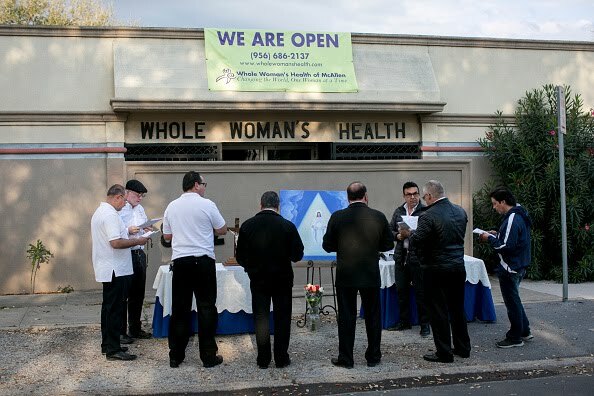 If upheld, the rules would require Texas clinics offering abortion care, and any provider managing miscarriages, to form a partnership with a funeral home. While patients would not be required to attend a funeral service, they would be required to sign paperwork deciding on burial or cremation of tissue from their abortion or miscarriage. The fees for burial or cremation would increase the cost of abortion care, an extra burden for patients who may already be traveling many miles to the nearest clinic, paying for childcare, or losing money from time off work. Anti-abortion legislation always affects most profoundly those who are living in poverty, often working-class people of color. The Rio Grande Valley is particularly vulnerable because of its large undocumented and poor population. Here is a timeline detailing the trajectory of tissue burial law in Texas. On July 1, 2016, with no warning or legislative directive, some far-reaching amendments with momentous legal and fiscal consequences were published in the Texas Register, a weekly journal that documents state rulemaking. Proposed by the Texas Department of State Health Services (DSHS) officials, the changes affected the Texas Administrative code about medical waste. Specifically, they addressed tissue resulting from pregnancy. Current law says appropriate disposition of tissue resulting from abortion or miscarriage is the same for all other pathological waste: incineration followed by landfill, or pulverizing and then sewage system. The published amendments sought to replace current methods with interment (burial) or cremation. This means what it sounds like: funerary burials or cremations for every single abortion or miscarriage in the state of Texas. Regardless of the ludicrousness of mandating burial of medical waste with no consideration of a patient’s desires and of the burdensome increase in health care cost, the DSHS was far out of line for even proposing these changes. This statement by the Center for Reproductive Rights is contrary to the explanation initially given by DSHS for the proposed amendments: “enhanced protection of the health and safety of the public.” A second version of the amendments extended the same reasoning to include preventing the spread of disease. This final wording was adopted by the Executive Commissioner of DSHS on Dec. 9, 2016, and was to take effect ten days later. However, a restraining order granted to Whole Woman’s Health and other plaintiffs temporarily halted the rules. Then, on Jan. 24, 2017, Senior US District Judge Sam Sparks blocked the amendments wholly and permanently, effectively keeping them from ever being enforced. In his statement, Judge Sparks cited the vagueness and unconstitutionality of the bill. After all, Texas’ 2013 omnibus anti-abortion bill, House Bill 2, had just been struck down by the Supreme Court in June 2016 because it imposed “undue burden” on those seeking abortion services. Sparks also criticized the costly and nearly impossible task of requiring funerary burials for all abortions and miscarriages in Texas, lambasting the elementary methods and questionable accuracy of the math used by Texas health officials to calculate costs incurred by funerary arrangements. Even as this small victory for pro-choice advocates occurred, Senate Bill 8 (SB8), co-authored by the Rio Grande Valley’s own Senator Eddie Lucio, was proposed on Jan. 24, 2017, with high hopes of being implemented in September of that year. SB8 was originally drafted to require that physicians at healthcare centers who provide abortion services submit a monthly report on each abortion they have performed. 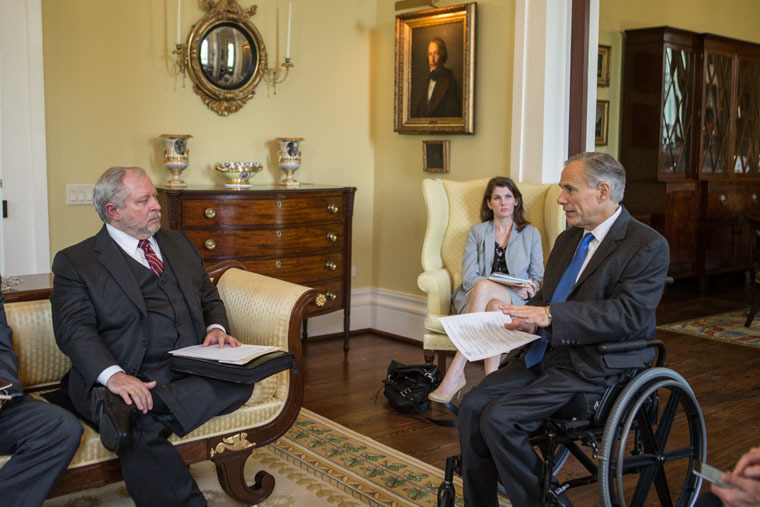 On June 6, 2017, SB8 was signed into law by Governor Greg Abbott. By this time, SB8 had been revised without committee hearings to contain amendments addressing the disposition of tissue resulting from abortion or miscarriage, very similar to the ones Judge Sparks ruled against. Slated to take effect Sept. 1, 2017, the bill’s revisions also banned dilation and evacuation (D&E), the safest and most common procedure for abortion after 15 weeks. The amendments also contained language redundantly banning so-called “partial birth abortions,” already illegal in Texas, and sections prohibiting the donation or sale of tissue resulting from pregnancy. On July 20, 2017, Whole Woman’s Health began their civil action to challenge the provision in SB8 banning D&E. In Whole Woman’s Health v. Ken Paxton, 11 plaintiffs sued Texas Attorney General Ken Paxton and district attorneys from around the state who would be responsible for prosecuting violations of the D&E ban, including Ricardo Rodriguez, Jr., of Hidalgo County. Men praying outside of Whole Woman’s Health in McAllen. Source: San Juan Bautista Noticias Website. On Aug. 31, 2017, one day before the law was set to take effect, US District Court Judge Lee Yeakel issued a temporary restraining order to block enforcement of the D&E ban until the trial concluded. On Nov. 22, 2017, Judge Yeakel granted a permanent injunction, completely striking down the D&E ban before it could ever be enforced. In his statement, Judge Yeakel acknowledged an exception to the D&E ban put forth by the state to circumvent the unconstitutionality of banning the procedure outright: if fetal heartbeat is stopped prior to D&E, the procedure is okay and legal. Judge Yeakel aptly affirmed what plaintiffs argued in response: all surgical methods that stop fetal heartbeat in abortions prior to 18 weeks are risky and pose no medical benefit to patients. Yeakel further ruled that the court had no legitimate explanation from the Texas Legislature of its purpose for enacting the law. On Jan. 29, 2018, one year after Judge Sparks’ takedown, US District Court Judge David Ezra temporarily blocked the interment and cremation provision of SB8 set to take effect Feb. 1. In his statement, Judge Ezra warned against the assumption that the preliminary injunction foreshadows a final ruling in favor of pro-choice advocates. Like Sparks, Ezra noted the state’s interest in “providing for a dignified disposition of embryonic and fetal tissue remains” sounds like a pretext for restricting abortion since it is not rooted in public health. Ezra also condemned the vagueness of the interment and cremation rules and the undue burden likely imposed by funerary fees and extra trips to clinics. Perhaps to emphasize neutrality, Judge Ezra provided in his comments the two legitimate state interests that are already established by courts: protecting the potentiality of human life and protecting the pregnant person’s health. These precedents may help authors of SB8 refine their approach. On Monday, July 16, 2018, the tissue burial trial began. As the trial came to a close that Friday, Judge Ezra asked both sides to submit briefs summarizing their arguments by Aug. 3. In the briefs, Judge Ezra wanted plaintiffs and defendants to answer his questions regarding the logistics, implementation, and consequences of the law, with special attention to cases of miscarriage. Ezra has not given a date for when he will hand down a final ruling. Pro-choice advocates worry that in the case of SB8, a ruling in favor of the state could, in addition to burdening abortion and miscarriage patients with emotional and financial consequences, allow funeral homes power to agree to work with abortion clinics, only to suddenly revoke their partnership and render the clinic non-compliant with tissue burial law.